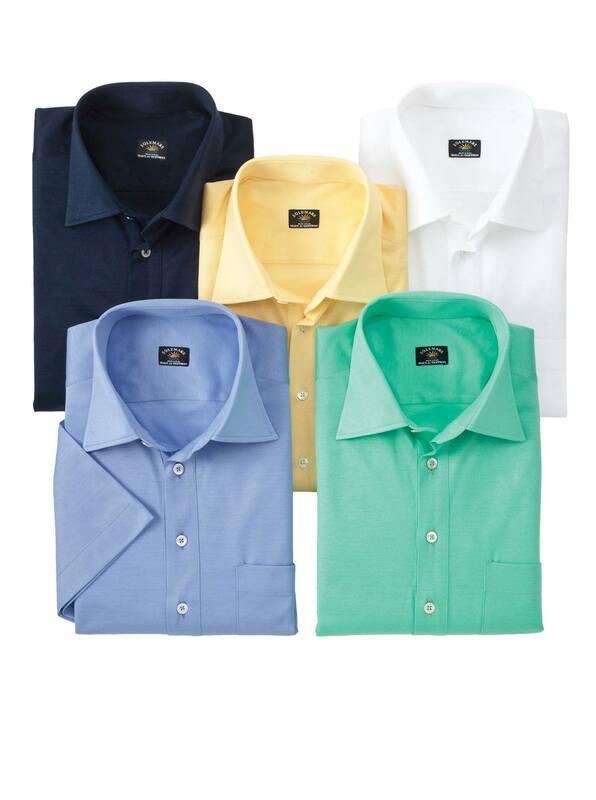 Marco Tailored Collar Polos, made in Italy of the finest mercerized pure cotton jersey. With classic point collar to dress up with sport jackets, or wear easy and open for casual distinction. From our Solemare Collection, with open short sleeves, vented bottom.